Nintendo has just given a preview of its new Nintendo Switch console - formerly known as NX - and has also revealed a full list of publishers and developers committed to producing games and software for the platform. Nintendo says that these are "some" of the companies pledging support to the new console, so it shouldn't be taken as a complete list at this stage. Even so, are there any firms missing that you'd like to have seen? Let us know by posting a comment. Seems all right list already. Bethesda ?? Wow !!! As somebody pointed out on Twitter no Rockstar. I am surprised to see Bethesda on there. That's really something. From Software Darksouls! Hope it can possibly run well on it. Take Two owns Rockstar do they not? Looks like a great start - but it's still just a start! Nintendo needs to work with them and make sure people know these games are going to exist. Sell it, sell it, sell it! Just WOW. I'm so impressed by this list. Go Nintendo! We're gonna have to hit the lever. I see ATLUS on that list so I'm happy. Fromsoftware is good, maybe Dark Souls 3 port? First portable dark souls or souls like game. THIS is what i've been waiting for (actual 3rd-party support)!!!!! Red Dead Redemption 2. If it's there. It's day 1 for me. That is a list of almost every single developer I love to play games from. I hope Bandai can get Tales on the system and that NIS brings Disgaea. Hmm... I like it though!! Please give us Dance Dance Revolution Ace based on Arcade ! I can die if it real. No Rising Star Games listed but I'm sure they'll support it. FFXV and KH3 is all I want from 3rd parties on the Switch. Platinum. Obvious, but still glorious news! @A01 Yes they do ! FROM SOFTWARE! If they've managed to wrest Bloodborne away from PS exclusivity... or even bring Dark Souls... Could I... maybe... own only one system again? @Rocossa I haven't played it at all. It'll be a new experience for me. @TheRedCap30 No way in hell Nintendo let's Cloud in SSB4 without this happening. @Spoony_Tech I'm not sure how they would list it, but Take Two Interactive wholly owns Rockstar. @Spoony_Tech Rockstar Games is a subsidiary of Take-Two Interactive Software. Bokujou Monogatari in HD ?? Another Yokai Watch series ? My excited for From Software, now i'm dreaming for a DeS, DK, Bloodborne exclusive type game. This is a very positive list. depending on how they do VC and BC then this could be the all in one box people have been looking for. I'm expecting a ton of ports but if they have strong third party support by the second year then nintendo just dropped the mic. I'm hoping this means I can go back to nintendo + pc by the end of next year. Here's hoping for fighting game ports/support and mod support on skyrim (i'm going to double dip to show support either way). Soul Calibur! Been too long since 5! Nice list! I saw Autodesk, isn't that the company that make art software like Sketchbook? I wonder if that means stylus input is confirmed. -Tokyo RPG Factory Co., Ltd. If this is true, then...wow. Just...wow. Great, now reveal some games or do we have to wait another 6 months for that? Good list! Atlus and NIS and Square bring us JRPG goodies. From the trailer, I'd say the Nintendo has made a good start to build Nintendo Switch hype. I'm 24 years-old and Nintendo is still impressing me with their console reveals. Good to see the companies who stopped supporting Wii U are coming back to Switch. Now let's see some games! @MemoDuh There's a trailer to Red Dead 2 today, maybe they'll surprise us there? My body was not ready for that! Seeing 2k and skyrim on there eased my worries of 3rd party support. Now bring on the games!! A good start but even the Wii U had OK third party support at the beginning. Holding onto them will be the real challenge. Didn't see Monolith on that list. Are they owned by the big N now? @TruenoGT @thesilverbrick That was after a successful system though, expecting another hit. This list is after a much less successful system. The optimist in me says this makes a difference. This is a crazy list! Hopefully they all are actually committed, but if so, this will be the most third-parties working on a Ninty console in a while! Very impressive, top tier devs from all over the world & some lesser but still interesting companies! Can we have DOOM on a Nintendo console after all these too long 2 decades? Please, Bethesda and id!!!! square enix !!! give us that kingdom hearts + final fantasy ports please.. . . I don't want to have to buy a ps4.. I'd love to see an article giving a quick list of games each of these supporters are best known for. I have no problem if I never see a Rockstar game on the Switch. But that's, like, just my opinion of course. Incredible. I love the new standard controller and an HD hybrid means that along with these third-parties, and Nintendo's games, if Wii U support is there and Switch gets games like Red Dead 2, Call of Duty, FIFA , PES, Fallout... why would anyone any longer want a PS4 or Xbone? StreetPass NEEDS to be on the Switch! Don't give him ideas, please. @Spoony_Tech Take Two owns Rockstar. Wow! If 1/2 those companies actually get retail games on the shelf I'll be satisfied!! Maybe we'll see a new Shin Megami Tensei for consoles from Atlus? Remember the Wii U had an impressive launch list. Wait 6-12 months to see if there's full third party support. I hope indie game developers will be able to port their games easily; I want Yooka-Laylee on Switch! Well, that is certainly an impressive and interesting list, especially considering it isn't even the entire list. And a LOT of parties previously never present on Nintendo. Guess we may have Nvidia to thank for that, or at least in part. Their reputation in the PC market could have helped Nintendo with acquiring all these parties' support. Look at all this! This is unreal! Please god (and square). KINGDOM HEARTS 3!!!!!!!!!!!!!!!! Wii U is dead. It's over. Switch is the easy to go! Codies! Perhaps Dirt Rally will make its way to the Switch, so I can yell out epithets in frustration during my daily commute. Seriously though, I will withhold getting overly excited until we see what this list actually produces in terms of games. The presence of Skyrim on the teaser video bodes well for some heavy hitters popping up, though. I'd love to add my name on there. I'm gonna give my PS4 a quick kiss for reassurance. Hmm it's an Uncharted 4 console. Where to start? Next Monster Hunter better be on Switch! @MemoDuh take two is listed. They own rockstar. @theultimateabsol Probably Bloodstained- Iga made comments about the issues of releasing it on Wii U. They'll probably move it there and offer money back to people who backed it on Wii U.
Betheseda is the big news for sure, and for those wondering about Rockstar they are a developer owned by publisher TakeTwo, although Tokyo RPG Factory is a subsidiary of SQUENIX and not a publisher, but I imagine the distinction is purposeful and TRF actually has something in the pipeline. Skyrim is HUGE — if it releases with even Sony's comfort level of mods this will be an essential version if not the definitive just due to being portable, but as always Western game fans are spec-obsessed so 1080p / 60fps is mandatory for the docked version if any existing fans are going to care. It also highlights the change in Nintendo's attitude towards Western devs: the obvious WPRG and open-world influence in Zelda, and then obviously courting the makers of these games — I'm sure Nintendo sweetened the pot to get the Skyrim port, and Western devs will have to seriously consider bringing ports and franchises to the Switch, as Nintendo might finally have the mainstream cross-over hit with mainstream audiences by and large on the portability AND portable multiplayer focus. and a very solid list of middleware developers. Wondering if EA is once again a one and done partner, I imagine FIFA would've been shown over basketball if it was ready or even in development. Either way, Spla2oon exists, so Day 1. Geez Atlus, now I'll probably need the NX don't I. Looks like the new system will have decent third party support. Let's hope they can actually keep it. Was initially excited about FROM, but then remembered their Souls games are also on PC, and they don't seem to make anything else anymore. Who knows how long these 3rd parties will stick around, but considering that many of them never supported a previous Nintendo platform before, and considering that Nintendo is coming off of the failure of the Wii U, the fact that these 3rd parties are even present at launch is incredible. Well done, Nintendo! I'm unreasonably excited to see what Atlus brings to the NX. Imagine a big budget SMT that you can play on the go! Bethesda is huge. Give me Final Fantasy XV on Switch and I have no reason to buy a PS4. I see HAMSTER corp here. Does that mean we'll get that Bases Loaded upgrade for the NX??? I know the eShop successor will not be live right away, but that'd still be pretty cool. Actually, all those smaller name Japanese companies listed here are ace. And if EA means literally FIFA, well, this is just a well-rounded list and the only thing that could make the launch better for me is a Pilotwings S (naming scheme sounds good to me anyway). From Software now they've actually finished their most popular series. Hmmmm. @CrazedCavalier Why does it crack you up? I don't care what games they make, the more third party support, the merrier. And this is quite an extensive list. We don't have to like all the companies or the games, but it is important that the support is there. Got some western 3rd party support. That's good. Thanks to all that let me know Take-Two owns Rockstar. I obviously didn't know that. Haven't played a game of theirs in years. Finally might have a 3D Ninja Gaiden portable. I hope these guys don't ditch Nintendo after year one. But glad they're all on board. Atlus?!... Sooo Persona 5, please? No I don't need nothing more, this list + Nintendo cover everything that I play or want to. EDIT: My stupidity was stupid. No Niantic? I guess no Pokemon Go for Switch. @Spoony_Tech take two is on the list. They are rockstars parent company. It doesn't mean they will support it but if they bring their decent games rockstar may follow with red dead. Take Two!!! Bring on the new Red Dead!!!! This is such a great position for Nintendo to be in. Even if we got wiiu 2.0 support the fact that 3ds devs HAVE to go to Switch is automatic sales. That is just worst case thinking type of outcome and it is still good. We know we are getting some pretty heavy games: DQ XI, Skyrim, What looks like NBA Live... If we get a COD, and EA's sports line up (no legacy) this thing is going to print money. @sandman89 It looks like the new Legendary edition based upon the textures. Now if you mean a new TES then nobody knows because Bethesda has been quiet about the next entry. That's Take Two. They publish all Rockstar games. They're the corporation who owns them. Till I see games don't care who is committing support, we heard the same when Wii U was coming. Awesome list of games companies. And then there's Konami, tacked on at the very bottom. Almost like an after thought. @SHULZ21 ...aside from the sigma series or do you mean on Nintendo? Spoony_Tech has replied now so stop tagging him people, lol. Frozenbyte? Trine 3 upcoming to Swich.launch games?maybe.confirmed but please Trine 3 port Wii U.Trine Trilogy physical retail release on Wii U.i believe Trine Trilogy 1 million sold.Trine is perfect series. Skyrim! I wonder if you'll be able to play mods on the switch version, fingers crossed. CD Projekt Red is going to work on the Switch. There was an interview somewhere with the lead designer of The Witcher series was complimenting about the system. @CrazedCavalier Epic Games made only one game? I think not. Maybe the current team, but Epic itself has already made a ton of games. @sandman89 ...Okay. Skyrim is the fifth game in The Elder Scrolls series. And Bethesda is making a new visually upgraded port for PS4 and Xbone. It looks like Switch is getting the same one based upon the footage. So this is pretty telling about the possible power under the Switch's hood (TES isn't the prettiest series but it does have a lot going on at one time and a large persistent world). That being said, and owning all consoles, this Switch looks awesome!!! Intelligent Systems not considered third party? @Spoony_Tech Isn't Take Two on there though, are they still Rockstar's parent company? The same team whose smugly-faced CEO talked the acronym for sugar honey iced tea about Nintendo, is now on board for the Switch. Given how important tech is to them, this feels very promising. All together, sing! "Ha ha, ha ha, yeah!" Not only does this list assure that there'll be a decent start of 3rd party support, but using NVIDIA tech also means more developers will want to keep supporting it. Finally Fire Emblem can come back to the big screen! So does this mean that games like Kingdom Hearts will make it's way back to Nintendo consoles? I would like to see that. I REALLY hope that KH3 will be on NX. It makes for KH games to be on PlayStation and Nintendo consoles. People people! Yes the new Mario game will be more like Mario 64, and it's clearly obvious from the video that Nintendo is reusing the same graphics engine from Super Mario 3-D world's, for this new Mario game. @ThanosReXXX I believe the ones on the bottom are referring to engine licenses. So...Unreal Engine 4 confirmed to be compatible with the Ninty Switch? @ThanosReXXX It looks like Nintendo is finally listening to their audience! Delivering a system with power, portability and third-party support. @Agent721 Yeah, but compare that with Nintendo exclusives and it's an easy choice. Yeah your right there its great for gaming. Bravo Nintendo on landing all of this third-party support. While I do have some cautious excitement for the Switch (still won't buy one until 2020 at the earliest), a list is just a list. @Meaty-cheeky That list of third parties certainly looks good, hope the support remains and is in full force, unlike on the Wii U. Please Atlas do a persona 5 port!! I only have enough for one nextgen console! And a fallout game would be on my list. Maybe an anthology or 3 and New Vegas together? Well, at least with the fact that Switch is using actually modern hardware, that support is much more meaningful. @ThanosReXXX Yup! I guess Nintendo's getting a better idea of what the devs need to get on board with their platform, which is quite an improvement over the Wii U. Hopefully this is a good sign. I'd like the NX Switch (Gonna take me a bit to get used to that) to work out, if only because it seems like an attractive system on its own. That's a promising list. It gives me hope that Nintendo has learnt from Wii U mistakes and are trying to get the third parties back on board. I remember a very similar list for the Wii U. 98% dropped the system like a bad habit after one shovelware title. I hope they bring back Contra. Seems perfect for multiplayer gaming, with friends, on the go. I hope a lot of third parties will start sharing specific games soon! Does codemasters in that list mean that F1 2017 is coming. Please be there! @AVahne Unity yes, CryEngine no. They tested it out and it kind of worked, but the support was never official and in the end the guys that did the testing, never got the okay from their publisher, which was EA, if I remember correctly. @CanisWolfred Yeah, the name does take some getting used to, but at least it is MILES better than "Nintendo Cross" which I thought was absolutely horrible. @Technosphile The list for the Wii U was never this long and a lot of the parties mentioned on it wouldn't touch the Wii U with a ten foot pole. And this is only a partial list according to Nintendo themselves, so there are even more parties on board. And other than Switch running on Nvidia (who obviously would have a lot of contacts of their own) that could have something to do with the VP of sales and their current marketing lead formerly being from EA and Yahoo respectively. Both gentlemen with a large network. Pretty sure you're thinking of Crysis 3. The newer engine itself is or was supposed to have support for Wii U. I recall seeing the Wii U logo in the list of supported platforms when they revealed it. Either the newest one, or the version slightly before it (which didn't have a number, though it seems wikipedia refers to it as 4). Bethesda on that list means the Switch will and already have succeeded. @ThanosReXXX ...Drat. I got them mixed up with freaking Hello Games and the NMS nonsense. Where is game freak in the list? Didn't WIIU have a similar list? @AVahne I know, and that is the one I meant. They tested it and got it running on an "acceptable level" without too much tweaking, but that was just the engine and a demo. A complete game would have taken more time, money and optimization. More than likely the reason why EA put a stop to it being developed any further. What if most just give us ports like last time? This list is only for 3rd Party developers. Game Freak can be classified as a Nintendo 2nd Party studio. Please don't draw parallels with the Wii U and bring everyone down! @River3636 The Wii U's list wasn't nearly as long, and now there are also parties on there that have never even developed for Nintendo before, like Bethesda, which is a BIG and important party to have, and if they are willing to put Elder Scrolls, one of their biggest franchises on there, that surely means that something good is going on. But I know what you mean. All these incomplete games with parts like online multiplayer ripped out and so on. Guess we'll just have to wait and see how all of that turns out. Too soon to tell. I'm sure it'll be there eventually but I couldn't resist throwing their name out there. I think Bethesda's name being mentioned and Skyrim being shown is the biggest news for me today. I prefer Fallout over Elder Scrolls but Elder Scrolls goes, I'm sure Fallout will follow....or that's my hope. @ThanosReXXX - It is too early to tell. I'm a day one purchaser regardless. Bethesda is a good one. That is a Wow. It is a wait a see. It is going to be a long 5 months. @FACEOFBEAR Oh right. Thanks for the reminder. A Bethesda game on Nintendo??? What is this witchcraft?? If EA can walk their talk, I'm calling it now, Mass Effect Andromeda will be a launch title. SQUARE !! Give me my DQX version 4 for western users !!!!!!!! NINTENDO !! Stop stupid censorships in your "localitations works" for this new and awosome console !!!!!!! And Give us a giant Fire Emblem Switch !!!! @AlexSora89 I did burst out laughing when I saw skryim precisely because of Howard's remarks. Rockstar's not on the list. I wouldn't be surprised. Hey, no one commenting on DeNA on there? I guess it just means the Nintendo Network and MyNintendo stuff after all. My first thought was: "oh, maybe the mobile games will play on the Switch. " There is a real possibility that the Switch will be the only viable target portable dedicated game device for the near future. And it plays at home, and it plays Nintendo exclusives. Give me dark souls 1 or 3 portable!!! Ubitus Inc. provides the Nintendo Switch cloud service. 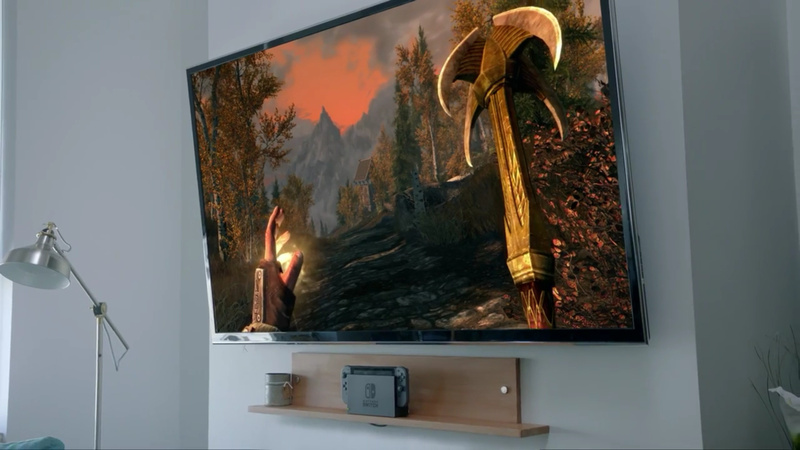 When i saw skyrim on nx[switch] i freaked. Sad to see RCMADIAX not on that list. Seeing Skyrim on NS was an awesome sight. Good to know that EA is back on board too in which I would love to see Battlefield 1 on the console. Activision will probably bring Call of Duty back in which I've actually missed it and they better bring back pointer controls because the joy cons are screaming for it. Overall I'm very impressed by all the third parties already on board. Let's keep them here Nintendo. "Thrilled to be a publishing partner for #NintendoSwitch! The platform presents exciting opportunities for our studios & fans." So this will have many of the same games that PS4 and XBone have. So for those who already have them, why switch? Welp, all my fave companies are there. I only really care about five. EA? Was Bob Summerwill fired? No, they are a second party studio, fully owned by Nintendo. This is great, now Nintendo fans can stop pretending they hate 3rd party games! We get even closer to the Zelda/Souls crossover. Just that credit for PlatinumGames is enough to get me excited! I pray that Platinum being on the list will mean that we'll get Bayonetta 3. If Capcom bring Monster Hunter, Grasshopper bring No More Heroes 3 and Square bring KH3 then I'll be in hybrid heaven. @AlexSora89 Todd Howard, director of Bethesda Game Studios. Oh. 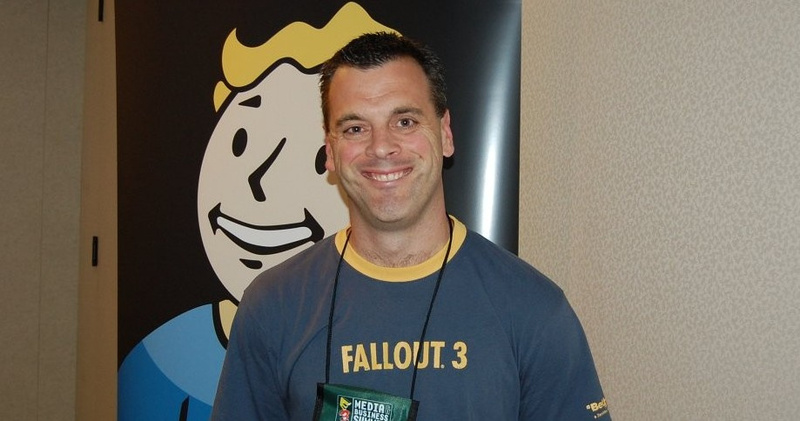 I had Pete Hines in mind, my mistake. I'm still foaming I mean, thankfully he ate up his own words. I see my comment is going to get pretty messed up in terms of language. I should stop. Take Two owns Rockstar. And they're on the list. Now, Nintendo should make Animal Crossing Switch version. Amiibo Festival and HHD are purely Failed products. Built some hype for Animal Crossing games, please. @Anti-Matter You may not like HHD (neither do I), but it sold pretty well. About Happy Home Designer, I have the game but now I neglected for some reason (but I still kept it). I have same feelings also with MySims Kingdom Wii, because there is nothing we can do after storyline and I felt empty. Basically those games offers two things : Built something and watch only (can use some objects but for viewing purpose only, doesn't have necessary purpose). No minigames and repeat the same activities again and over again. Pretty boring if I can say. @TJSpyke Seeing as CryEngine was already used on some Wii U games, albeit in licensed form, chances are that with this far more favorable architecture that Switch has, that we'll see Crytek come to Switch as well. Also more likely because of the involvement of Nvidia, who already have connections with them, and I'm pretty sure that a lot of developers on that list are there just because of Nvidia, so that is the added bonus for Nintendo going with their hardware. I just simply cannot wait for the Switch!